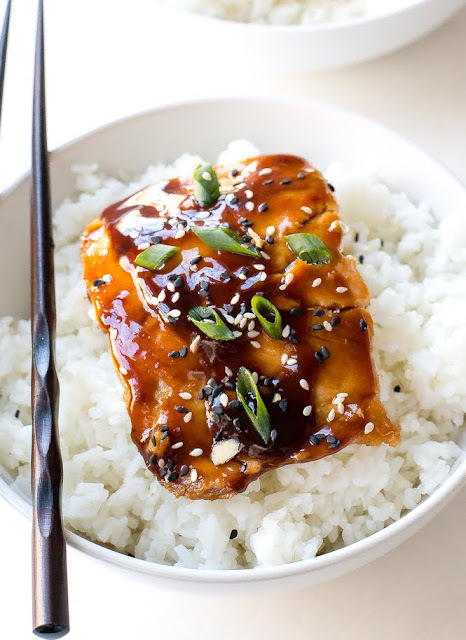 Add garlic, ginger, soy sauce, ⅛ cup water, brown sugar, rice wine vinegar and sesame oil to a medium bowl. Add half of the marinade to a ziplock bag and the other half to a small saucepan and set aside. 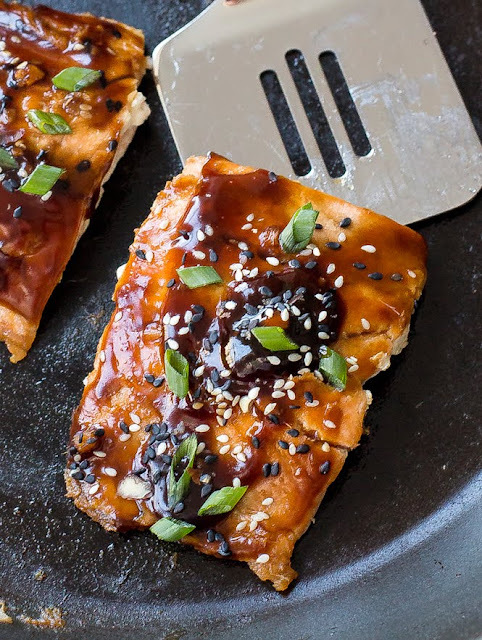 Place salmon filets in the ziplock bag and marinate for 30 minutes.